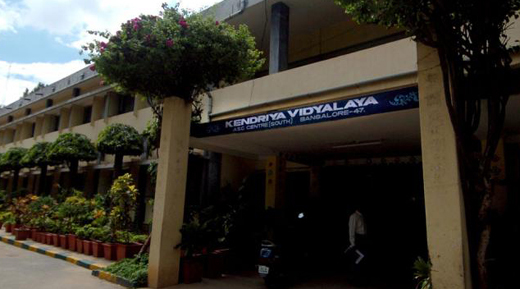 New Delhi, Apr 18, 2017 : Students of schools affiliated to the Central Board of Secondary Education (CBSE) and Kendriya Vidyalyas may have to compulsorily study Hindi till class X with recommendations of a Parliamentary panel in this regard getting the President’s nod. The HRD Ministry has also been instructed to form a policy in consultation with the state governments to make the language compulsory. "The HRD Ministry should make serious efforts to make Hindi language compulsory in curriculum. As a first step, Hindi should be made a compulsory subject up to standard X in all schools of CBSE and Kendriya Vidyalaya Sangathan," the Presidential order said. "The Centre should form a policy in consultation with state governments," it added. The recommendations were made in the ninth report of the Committee of Parliament on Official Language. CBSE had last year recommended a three-language formula – English and any two Indian languages – to be expanded to classes IX and X. However, the HRD Ministry is yet to take a call on the suggestion. Now education has become on the basis of the standard of people.